Researchers at Kaspersky have reached out for assistance after an investigation into the Duqu Trojan uncovered a section that is written in an unknown programming language. While the majority of Duqu is written in C++, the Framework was not and was not compiled with Microsoft’s Visual C++ 2008. 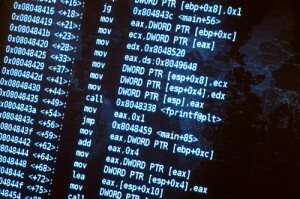 Other languages ruled out include Python, Java, Objective C, Ada and Lua.“Given the size of the Duqu project, it’s possible that an entirely different team was responsible for creating the Duqu Framework as opposed to the team that created the drivers and wrote the system infection exploits,” said Alexander Gostev, chief security expert at Kaspersky Lab, in a statement. The mysterious code could be the work of a separate collaborator, indiciating that multiple parties worked to develop the infection. Kaspersky is hoping that someone in the programming community will recognize it and come forward to identify it. Identification of the language could help analysts build a profile of DuQu’s authors, particularly if they can tie the language to a group of people known to use this specialized programming language or even to people who were behind its development. Duqu first emerged in September 2011 and is thought to have been written by the same people behind the infamous Stuxnet worm, which targeted Iran's nuclear facilities and attempted to steal highly sensitive information. Duqu worked along the same lines; acting as a backdoor into a system to steal data. Researchers have noted a number of similarities in the behaviour and spread of Duqu with the infamous Stuxnet malware, leading some researchers to dub Duqu as the successor to Stuxnet.